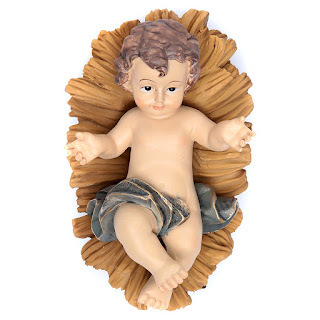 “My Mom told me that the Baby Jesus had been stolen from the church Nativity display at Our Lady of Grace when she was a young girl of about 12 years of age in the early 1930’s. “It came into her father’s possession somehow, and I don’t know why he didn’t return it. “Instead, he gave it to my Mother after she was married, and she too kept it until her passing when it came to me. Rev. Alex Santora said the unexpected return of the 1930’s-era statue is like a gift from above. “I think it’s a sign that God has graced them to do the right thing,” the pastor said. Thankfully, the folks at Our Lady of Grace say the statue is the right fit for their nativity scene, where what’s old will soon be new again this Easter season.